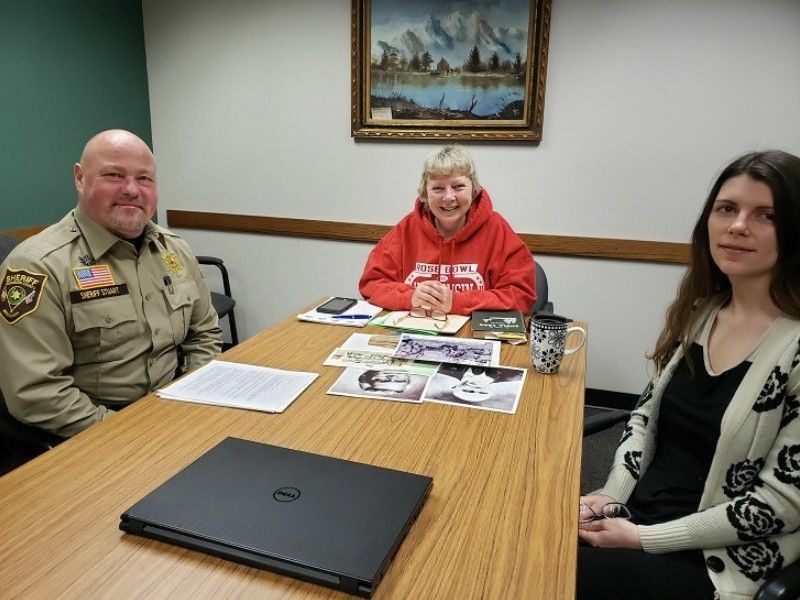 WASHBURN COUNTY -- Former Law Enforcement Assistant, Deb Nebel (pictured center), has recently formed a committee to help her finally put together a list of former Washburn County Sheriffs along with their photos, and their dates and years of service, that she has had on her own back burner for a long time. Years back, Deb, a Washburn County Sheriff's Office employee for over thirty years, first saw a photo wall of all the Sawyer County Sheriff's on a wall at their headquarters and was impressed. For Deb, a Shell Lake resident all of her life, history has always been a love of hers. Now she's teamed with Danielle Danford (pictured on right), a Washburn County Register employee for the past five years, who shares her passion of local history. Danielle not only writes for a living but has joined the local Historical Society's Board to further her fascination for local history. Washburn County Sheriff Dennis Stuart (pictured on left) joins the committee due to an interest in the long line of men, and women, who have served as Sheriff before he took office this year. So far, the committee has found many of the former sheriff's and need the public's help to find the rest. Amazingly, not only do they have a photo of the very first Washburn County Sheriff, James Wynne, but they've also learned that he was appointed in 1883 by Governor Nelson Dewey when Washburn County was created by the State Legislature. At this point in history, Wisconsin had only been in the Union for thirty-nine years and, Chester A. Arthur was serving as the twenty-first President. 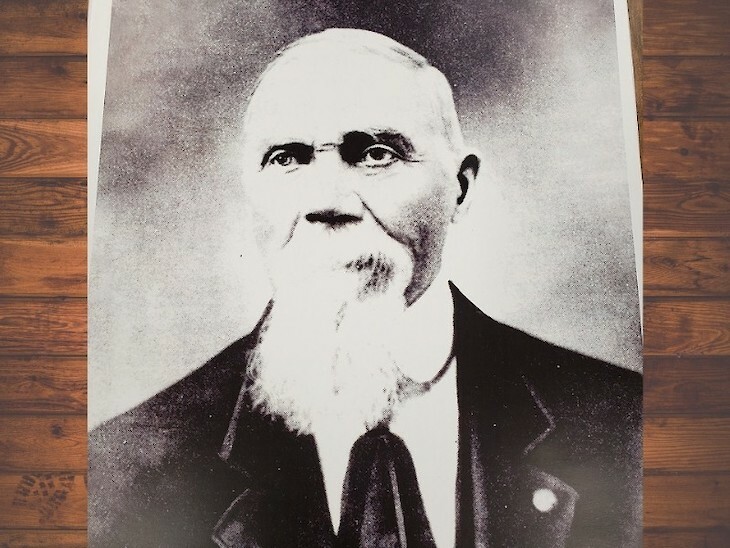 It's also listed that James Wynne made his living through farming and working as the first rural Postmaster before being appointed to the position of Sheriff. From 1883 to the present, there were one hundred and thirty-six years of County Sheriff's, and this committee is determined to find them all. If you have any information, or photos, of past Sheriff's, they would like to hear from you. Anyone with information or photos can contact Deb at 715-520-0158 or Danielle at either 715-416-1573, or danielledanford@leaderregister.com.